Parenting styles evolve over time and are dependent on not only the child’s temperament, but the parent’s personalities as well. We’ve all learned certain parenting practices from the way we were raised and adjust those over time as our relationships with our own children changes. As I got to know this nice couple better in the course of feeding therapy, I learned they both had grown up in very commanding households. Their authoritarian nature at the dinner table (interestingly the same attitude needed in their jobs) was exactly how they were raised years ago. “It must be the right thing to do” they reasoned, because “they ate just fine” and had no memories of mealtimes being a struggle while growing up. Still, these parents recognized that the watch-dog approach wasn’t a good fit with their daughter’s hesitant eating style. For the naturally adventurous eater, this works because there really is nothing to enforce if the child is an eager eater anyway. 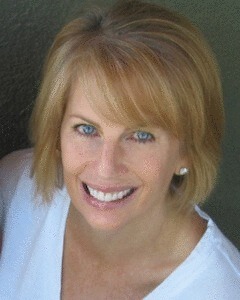 Diana Baumrind, a clinical and developmental psychologist, identified three different types of parenting styles: authoritative, authoritarian, and permissive. Many parents shift in style according to specific events or the environment, being more permissive in certain settings and stricter in others. This particular family adopted stricter rules with high expectations for eating vegetables and finishing what was served, requiring young Elizabeth to accept their rules without discussion. Authoritarian parents leave a child with very little room for independent decision making and responding to internal cues (e.g. lack of hunger) to drive personal behavior (e.g. eating corn). In the middle of the spectrum lies authoritative parenting, characterized by parents who set safe boundaries for their children while providing opportunities for their kids to make autonomous decisions. 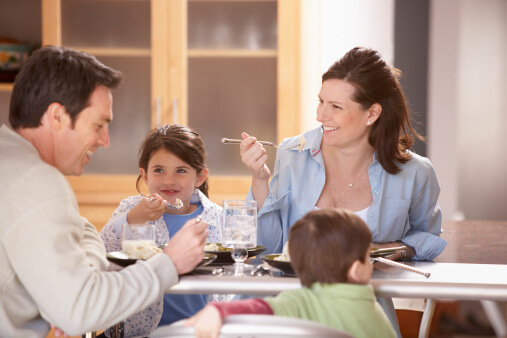 This parent prepares healthy meals for children, presents the food in a relaxed manner and allows the child to listen to internal cues to determine how much they need to eat. Authoritative parents align best with Ellyn Satter’s Division of Responsibility model characterized by these guidelines: The parent is responsible for what, when and where food is served and the child is responsible for how much they will eat and whether they eat it at all. Parents provide structure and opportunities to explore food while modeling healthy eating. What type of parent are you at the dinner table? Do you adopt a different style away from family meals? Take a close look at what’s working in your relationship with your child throughout the day and consider why those moments feel comfortable and relaxed. Are the outcomes what you desire as a parent, helping your child navigate life within safe perimeters? Perhaps those moments are when you’re an authoritative parent and with some flexibility, you can adapt your style to other moments in the day. Thank you for the opportunity to share my love for family, kids and food! I hope your readers will join me at My Munch Bug on facebook, twitter and pinterest!